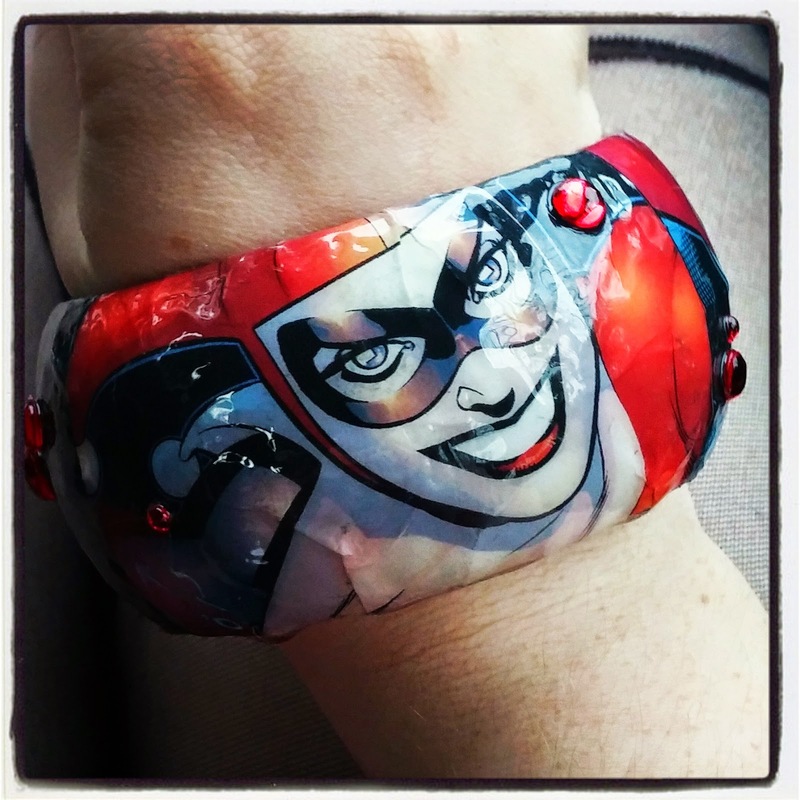 The Written Word(s): #ootd: Harley Attack! I've been meaning to post this for a while now XD I decided to start off my last first day of classes at Brock this year with a bang, and who's better at causing a big bang than our friendly neighbourhood Harley Quinn? So I put together an Everyday Cosplay with some items I received from Christmas along with a few pieces I've picked up at conventions. 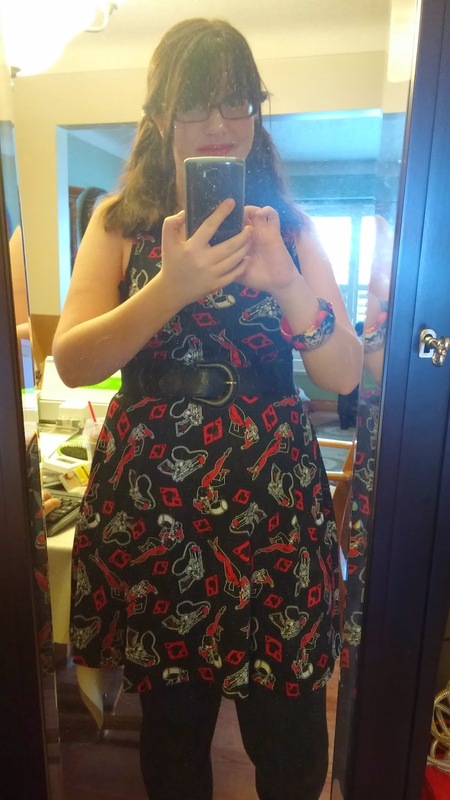 My skin may not be perpetually bleached, but being pale has come in handy for this outfit XD Pared with some red lips, silver and black Hypnosis earrings and a Harley and Ivy portrait necklace I picked up at a convention, I donned my new Harley Quinn print dress to my first lecture of 2015. It was a Christmas gift from my aunt that she picked up at Hot Topic, and I wore it with simple black leggings. 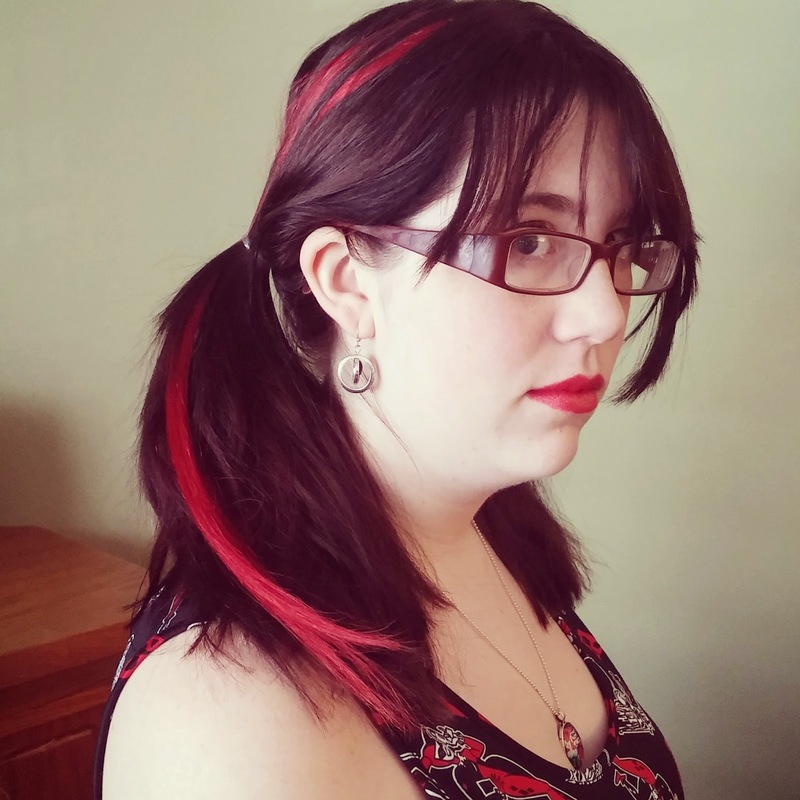 The pig tails fell apart by the time I got to class, but at least the hair, including the red clip extension - on the right side of course :) I made sure to study pictures from the New 52 Harley Quinn comic book series as I put this outfit together. I got many compliments on the red in my hair! Let me know what you think of this Everyday Cosplay I put together in the comments below!